Petretti Landscape Services offers a unique approach to the design build process. Landscape Installation or renovation requires the knowledge of multiple trades and processes. This process can be overwhelming to a homeowner that does not have the experience to manage all the different trades. It also comes with some definite pitfalls and challenges that can turn your project into a nightmare. We have over 35 years of experience in all phases of out door construction and have assembled an excellent team to help you through this process. We can manage your entire project from design to install. Instead of having to manage and communicate with multiple contractors you can deal with one company. Call us today to start your Outdoor Transformation Journey. Complete Outdoor Landscape Design & Construction Company Creating Custom Outdoor Environments one project at a time! Majestic Builders is a Design + Build Firm specializing in the creation of complete ”Outdoor Living Environments". Majestic Builders embraced this "total Outdoor Living concept" philosophy over 30 years ago when Robert Terry founded the company in 1985 and has remained committed to offering our clients superior products and outdoor living services. We provide a complete menu of products & services when creating your Ultimate Outdoor Living Environment. Our team of specialists work with you to create a unique landscape tailored to your lifestyle. •Waterfeatures including swimming pools and spas, water art, fountains, waterfeatures and ponds. •Pool and patio decks made of wood, composite, stone, tile, stamped concrete or any combination. •Covered structures pavilions, pool houses, gazebos, sunrooms and pergolas. •Entertainment centers for your outdoor living spaces including Barbeques, BBQ Islands, outdoor kitchens, pizza ovens, outdoor living rooms and media centers. •Heating effects outdoor fireplaces, firepits, gas heaters and portable outdoor heaters. •Outdoor landscape lighting and nightscapes including landscape accent lighting, mood lighting, flood lighting and special pool & fountain lighting effects •Special interests and effects. Keep the whole family entertained with outdoor sound systems, misting systems, putting greens, sport courts, kids play structures, outdoor furniture, privacy screens and pool safety barriers. Our outdoor living designers and construction partners all have extensive training in their respective fields. This includes site analysis, structural engineering, hydraulic engineering and outdoor living design. You can count on our experts with many years of experience, great ideas and wide-ranging expertise. Our scope of services is very broad and includes residential, commercial and public work. Environmental Landscape designs and plans unique landscapes throughout northern California. We have over 25 years of experience in all phases of outdoor construction. We specialize in rock walls, pools, shade sails and water conservation. Call us at anytime to talk about your project! Let our professional team of skilled artisans and designers transform your property into the paradise you've always dreamed of. With over 12 years experience bringing homeowners' visions to life, Hillstone Landscape and Grading continues to provide clients with superior quality, service and value. We specialize in interlocking concrete pavers, retaining walls, synthetic turf design, and installation for residential and commercial exterior application. We create quality, handcrafted gardens; focusing on organic, living soil that naturally grows vibrant healthy plants. We protect your soil & water from toxins harmful to children, pets, & wildlife. We are committed to your complete satisfaction. We want to show you what makes Capital Landscape the number one provider of landscape design in Northern California. Call us today to get started! 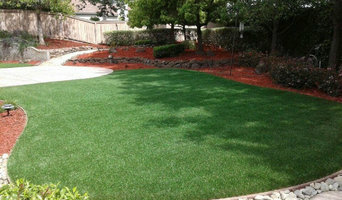 Artificial Turf by Fenix, Inc.
We provide quality artificial grass, paver and landscaping service. We are a strong-team of happy people who are passionate about what we do and have had the pleasure of working together for quite a while. What comes with that is an ease of doing business with us as well as confidence in our service and installations. A new entity as of 2017, our team recently split from one of the largest, highest reviewed turf providers for Northern California and created F E N IX as a turn-key artificial turf installation and retail sales Company. We serve all of Northern California and our Retail Center is centrally and easily located in Rocklin, CA. We are proud to be a Service Provider for The Home Depot and all of our crews have passed a background test and are highly trained in customer service and on policy and procedures. Tommy Herren’s 25 years of landscape design and lighting experience provided the foundation for Landscape Werks, Inc. Then in 2006 we became The Lighting Geek, specializing in full-service landscape illumination services for San Francisco, Sacramento, South Orange County, and San Diego areas. 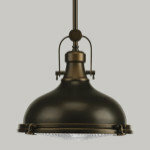 We use only the highest quality lighting fixtures and use uncompromised installation procedures. If needed, we will even tear down and rebuild fixtures or develop custom installation methods to achieve the best illumination possible. Our end-to-end attention to detail will mold your home and/or landscape into a pleasant and inviting environment. 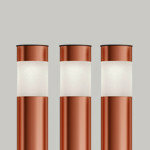 Landscape illumination by The Lighting Geek is a symbol of excellence and quality. Proper landscape illumination is not only a lifestyle choice but it will also define your outdoor living space at night. The Lighting Geek is known for quality and service and will ensure you will enjoy your personal paradise… any time of day! L.W.C. provides quality and sustainable landscaping. We are a full service company from the design to the complete install. With more than 20 years experience and our in-house design allowing us to give our customers a landscape that they will enjoy for years to come. 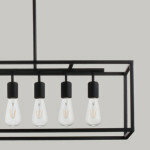 Our focus on quality products used to create your project and attention to detail comes out in our work. It gives our customers the trust they need to allow us to make their dreams come true. Our History --- from Ditch Digger to Award Winning Contractor I received my landscape contractor's license and became sole owner of my business in 1971. I have operated as a sole proprietor since that time. The first 12 years of my experience was providing services in the Santa Barbara area, wherein we designed and installed the landscaping at President Regan's ranch and a recreational field at Jane Fonda's ranch among others. Due to a protracted building moratorium in that area, we relocated to the Bay area in 1983. Since that time, we have received at least one award every year from the local California Landscape Contractors Association (CLCA). In additon, we have won several awards from statewide competition in the CLCA. In 1991, I served as the local president of the CLCA and in 1994, served as the State president. In early 1995, I realized that I could better serve my clients if I was able to focus on their needs without the distraction of employees. At that time, I changed the name of the firm from Everett Landscape to EvLand LLC. Under the name of Everett Landscape, I had developed a stable of subcontractors that I could rely upon. Using former competitors in the CLCA to take care of the planting and irrigation and my former subcontractors for necessary allied trades (such as electricians, masons, concrete, swim pools, carpentry, etc. 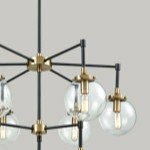 ), I was able to continue to offer my clients the highest workmanship, while concentrating on design and supervision. If you are interested in our services and contact us, I will be glad to provide you with a list of past clients. The clients on this list come from projects over the past decade. They have not been contacted since installation, so as to provide an honest appraisal of lasting value of their landscape investment and experience working with EvLand. Please feel free to call past EvLand clientele to ask if they were happy with the service received, the attention to quality, the level of hands-on supervision during the installation process, and the lasting impression these clients feel about their experience with this unique approach to landscape installation management. I trust that you will then allow me the privilege of being of service to your landscape needs. Brio Landscaping is a full service landscape company serving the Greater Sacramento area. 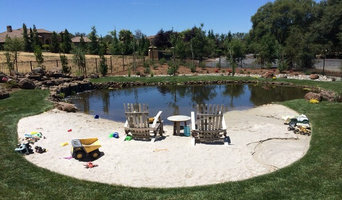 Since 2002, Complete Ponds has had the privilege of educating thousands of people in the greater Sacramento area and across the country, on how to create their own back or front yard paradise. Our retail store in Roseville, CA. is dedicated to the Do-It-Yourselfer. We sell all the supplies you will need to build and stock your own waterfeature. If you're local, stop by or you can give us a call at 916-786-2696. We look forward to helping you! In addition to helping people create their own waterfeatures, we build and maintain koi ponds, water garden ponds and waterfalls with our construction and service department, Pond Squad. 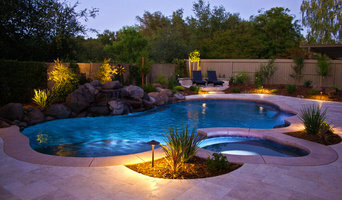 Over the years, Pond Squad has built hundreds of ponds and waterfalls in the greater Sacramento area. Call us to schedule your appointment today. 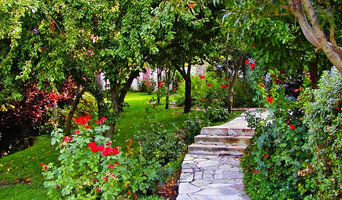 Welcome to Landscaping by Yosh, Sacramento's source for high-end landscaping services. We specialize in transforming ordinary yards into extraordinary landscapes. Landscaping By YoshWhat We Do We offer expert landscaping design and construction throughout Sacramento and the surrounding area. Learn more about our superior landscaping and lawn care services today. A Little About Us Locally-owned and operated, Landscaping by Yosh has been serving Sacramento's lawn and garden design needs since 1976. Yosh's educational background includes a Bachelor of Arts Degree in Landscape Architecture from University of California at Berkeley ('72). Landscaping by Yosh has participated in the Sacramento Street of Dreams, winning the 'Best Landscaping (Public Award)' in 1992. We offer the talent and experience that is needed to transform your landscape into an outdoor paradise. Not gifted with garden tools? Professional El Dorado Hills landscaping companies are your best bet to get lush, lovely grounds year round. Hire a landscaper to create and maintain a beautiful yard that complements your home and blends into its native setting. From soil, grasses and plants to decks, walkways and patios, El Dorado Hills landscape contractors are well versed in the components that make up a functional and visually pleasing outdoor living space. Learn more about how a landscaping company in El Dorado Hills, CA can help you with your yard below. What does an El Dorado Hills landscape contractor do? Landscaping contractors execute lawn, garden and hardscaping plans that have been drawn up by an architect or designer. They may also provide design services on their own. After the everything has been installed, landscape companies can make adjustments, maintain plantings, take care of weeds and pests, and perform other tasks to keep the scheme looking its best. A licensed California landscaper should have detailed knowledge of El Dorado Hills, CA weather and climate trends and conditions, and can choose plants and materials that are well suited to the area. 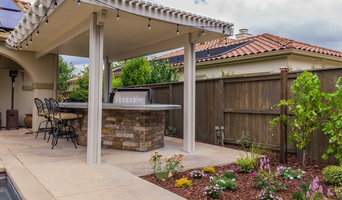 Residential landscape companies in El Dorado Hills, CA also handle many of the same general duties as builders, including arranging for construction permits, hiring subcontractors and making sure that designs comply with California building codes. Find El Dorado Hills landscaping services on Houzz. Narrow your search in the Professionals section of the website to El Dorado Hills, CA landscape contractors. You may also look through photos of California landscapes to find one you like, then contact the landscaping company in El Dorado Hills, CA who worked on it.